New Directions in Sock Knitting. 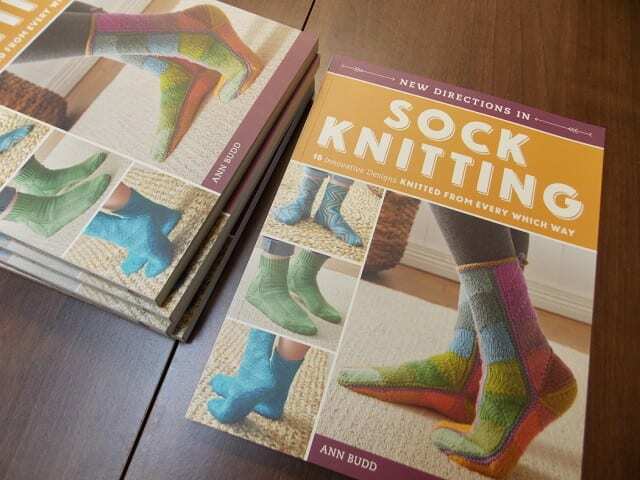 It’s been a while since we had a new book about sock knitting, so we were delighted when this one showed up on our doorstep! 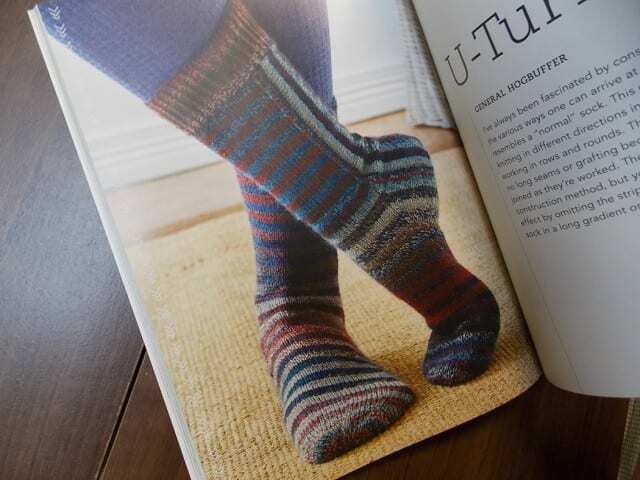 Take a virtual peek at Ann Budd’s New Directions in Sock Knitting. We’re all familiar with the two most common directions of sock knitting, cuff-down and toe-up. 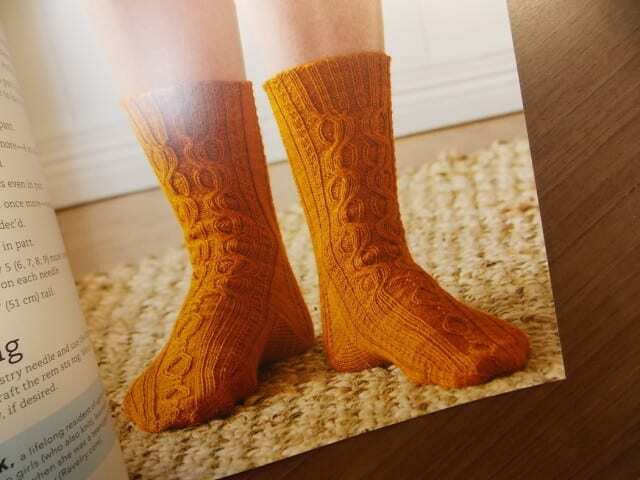 New Directions in Sock Knitting includes interesting patterns from both of those categories, featuring the work of innovative sock-designers like Cat Bordhi, Rachel Coopey, Hunter Hammersen, and others. 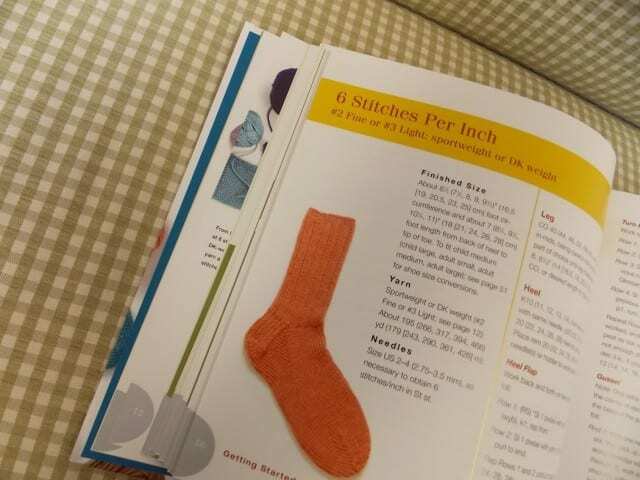 What really sets this book apart, however, is the variety of less-common sock-construction techniques, like General Hogbuffer’s “U-Turn” socks, which are worked partly flat and partly in the round. The self-striping Schoppel-Wolle Crazy Zauberball yarn highlights the unusual construction. 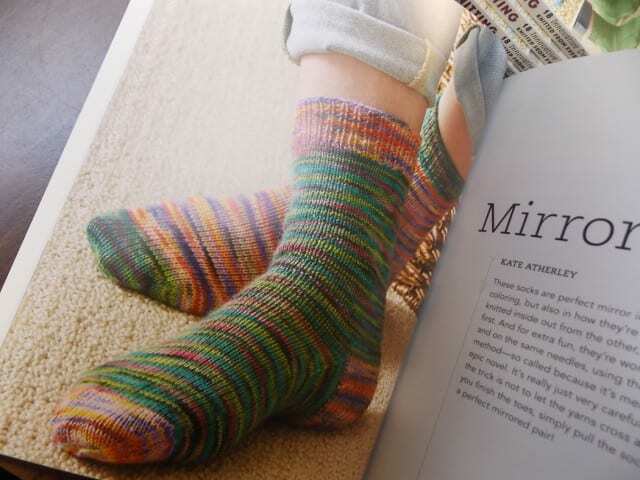 Kate Atherly’s “Mirror Socks” are knit two at a time on one set of double pointed needles, with one sock inside the other. The technique is something like double knitting, where odd-numbered stitches belong to one piece of fabric and even-numbered stitches belong to a second, simultaneously-created piece of fabric. A nifty trick, no? There are a variety of other surprising sock techniques represented here, though Budd also covers some helpful basics, like fit, gauge and needle-choice for sock-knitting. 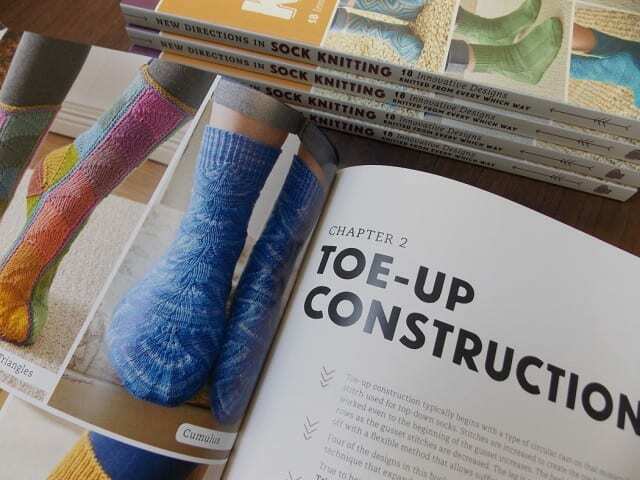 Look for New Directions in Sock Knitting on the teacart here at the shop, where you’ll find the newest books and magazines for knitters, crocheters, and weavers. See you there! Our Inventory Sale put a dent in our supply of books, especially some of the most exciting recent publications. By the end of the month, we had a lengthy list of titles to reorder, old and new. 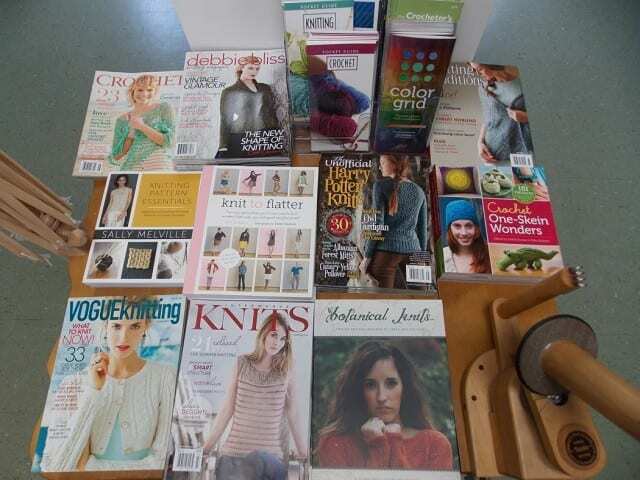 Yesterday a 48 pound box of books arrived at the shop, and now the teacart is newly decorated with fresh stacks of the latest knitting and crochet books. We also paid special attention to our stash of books by Ann Budd, knowing how handy they have proven themselves over the years. 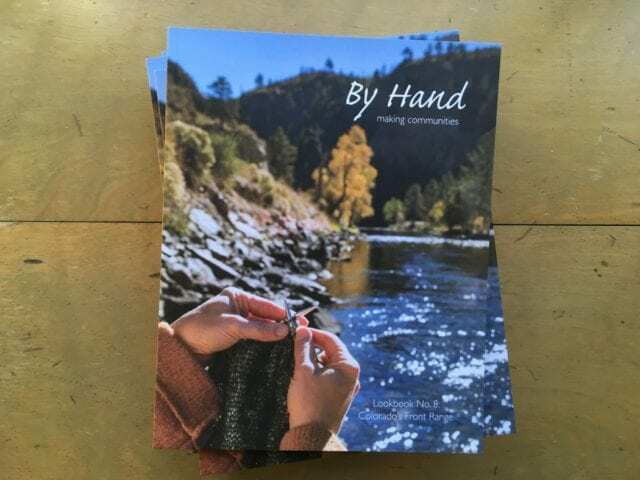 Budd’s “Knitter’s Handy Book” series offers basic patterns in a range of gauges, allowing one to construct any number of knitted garments in whatever yarn one happens to fall in love with, no matter the stitches per inch. We filled in the gaps we found on our shelves, including one longstanding gap where Getting Started Knitting Socks should be. 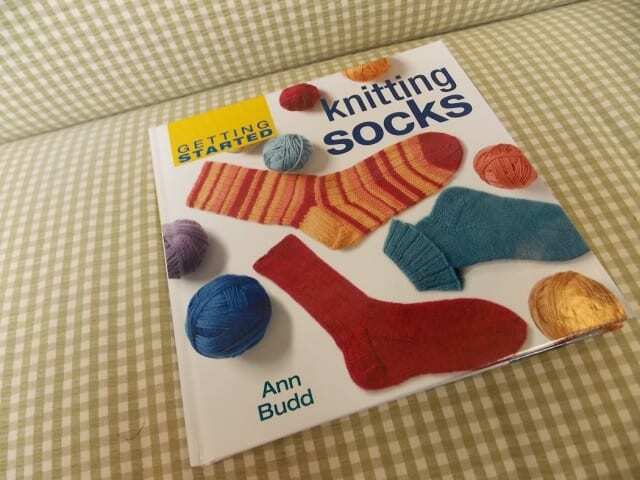 Ann Budd’s Getting Started Knitting Socks is a great introduction to the addictive world of sock-knitting, showing how to construct a basic sock and giving patterns for a range of gauges. 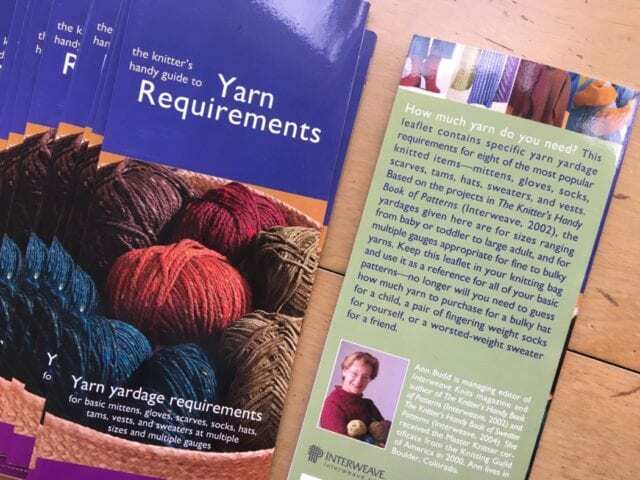 It also offers guidance on sizing, fit, stitch patterns, and yardage requirements–a topic on which we always defer to Ann Budd and her Handy Guides. If you’re seeking knitting or crochet inspiration, come by the shop to peruse our books. 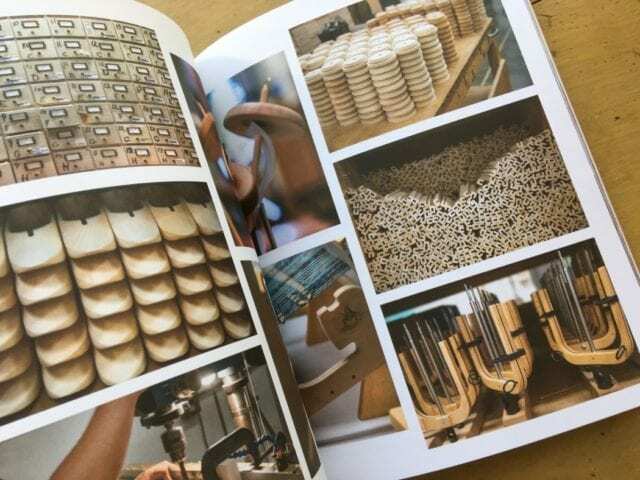 From the practical to the beautiful, and often both at once, there are all kinds of patterns and projects within. See you at the shop! 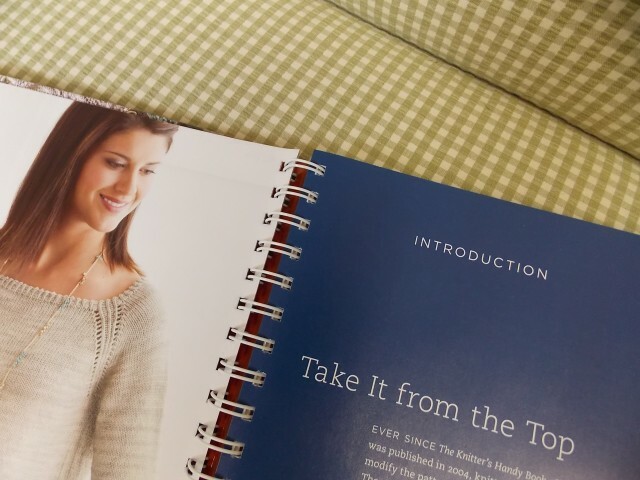 The Knitter’s Handy Book of Top-Down Sweaters. 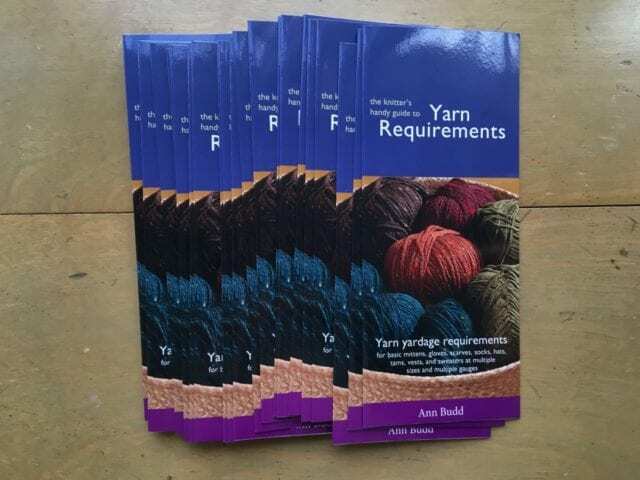 Interweave has just published a new book by Ann Budd, The Knitter’s Handy Book of Top-Down Sweaters: Basic Designs in Multiple Sizes and Gauges, and a stack of them arrived at the shop last week. After studying it during several quiet moments at the shop, I decided it had to be part of my personal knitting library. Read on to learn why it might make a good addition to yours, as well. 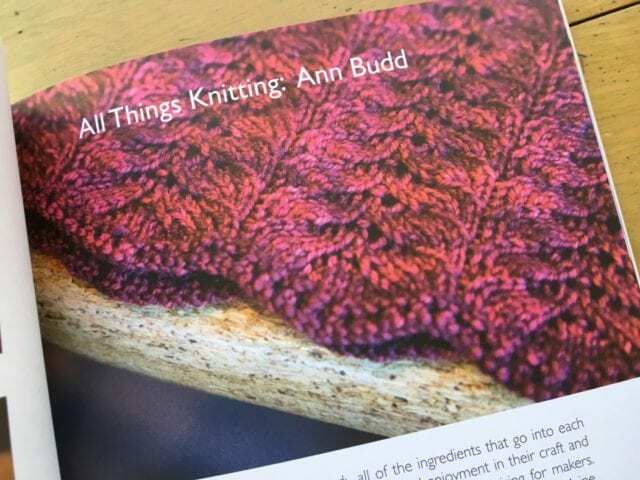 Ann Budd is the author of a great many knitting resources, including but not limited to Sock Knitting Master Class, The Knitter’s Handy Book of Patterns, and The Knitter’s Handy Book of Sweater Patterns. 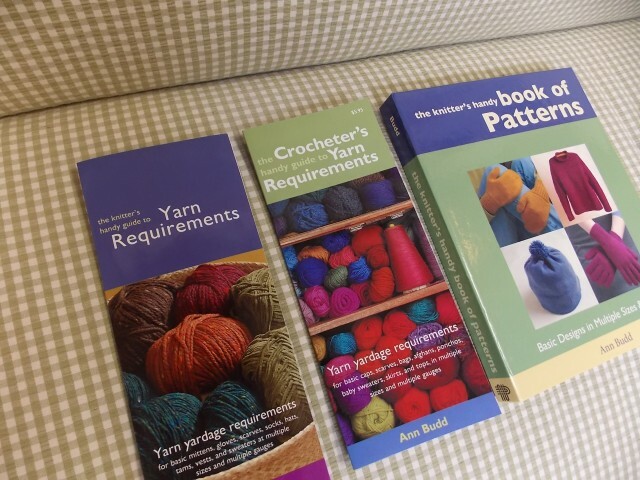 As I’ve written here before, we’re also quite fond of her Handy Guides to Yarn Requirements for knitting and crochet. 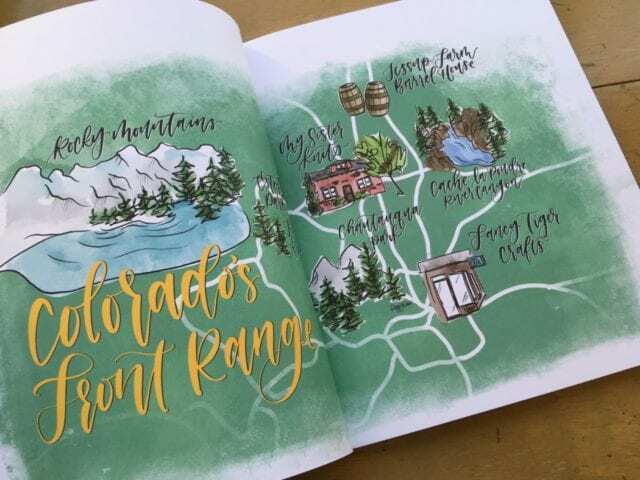 The Knitter’s Handy Book of Top-Down Sweaters is the latest in her series of Handy Books which give instructions for simple garments in a wide range of gauges and sizes. This collection, as the title makes plain, is full of seamlessly-constructed sweaters that begin at the neck, working from the top down. Some knitters begin a new project by falling in love with a pattern, then hunting for just the right yarn to match the gauge that the pattern asks for. Some knitters begin by falling in love with a skein of yarn, then go looking for a pattern to match. 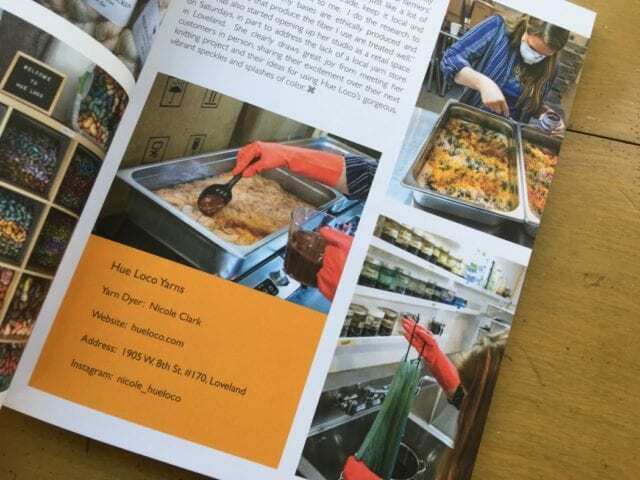 Ann Budd’s Handy Books can work either way, I think, but do a real service for the second group. 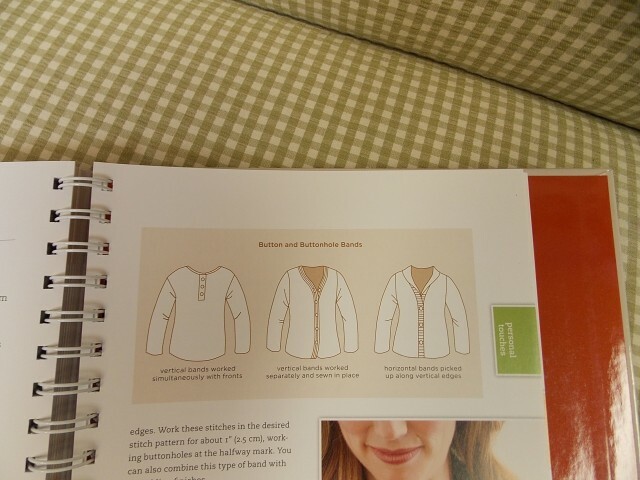 For each basic top-down sweater shape, Budd gives instructions for range of sizes, from children to adults, and a range of gauges. 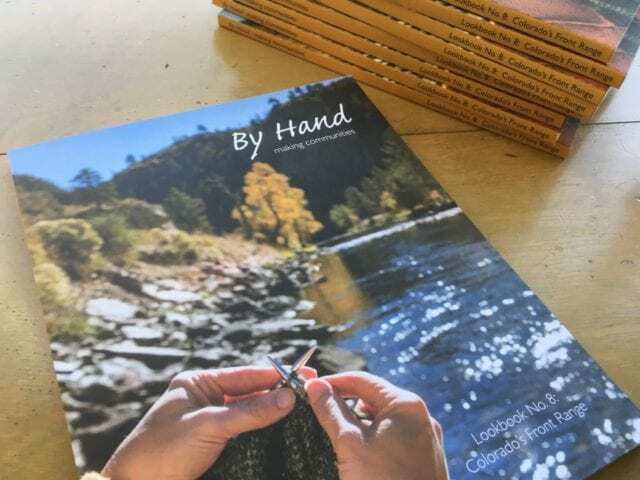 Whether you’ve fallen in love with a sport weight yarn or an aran weight yarn, you can choose from any pattern in the book and follow the directions in your chosen size and gauge. Budd also gives yarn requirements for every size and gauge, so once you’ve fallen in love with that yarn, you’ll know how much to get. 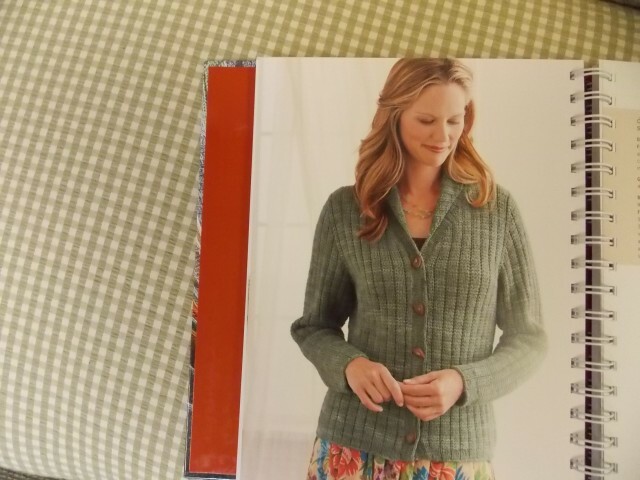 The book is divided into four sections, by the sweater’s yoke shape: seamless yoke, raglan, set-in sleeve, and saddle-shoulder. For each shape, along with the general instructions are three good-looking patterns. Some are designed by Ann Budd, and others by guest designers Jared Flood, Veronik Avery, Pam Allen, and Anne Hanson. Budd also includes plenty of information on modifying her general instructions, making it easy to add color or texture patterns, and create different kinds of neckbands, collars, button bands, waist shaping, and edgings. I’ve knit very few sweaters from the top down, having grown accustomed to using Elizabeth Zimmermann’s Percentage System (EPS) to knit unique sweaters from the bottom up. 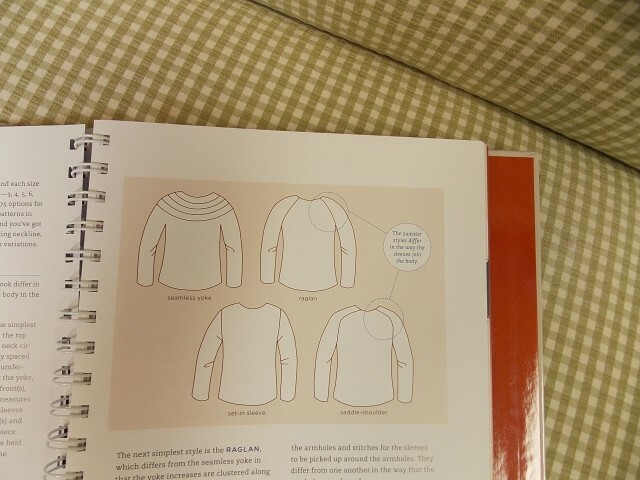 While EPS makes sweater design into a doable math problem, Ann Budd’s Handy Book of Top-Down Sweaters is like the teacher’s edition–a series of sweater math problems shown with every possible answer. For knitters who love to knit seamless sweaters and make them their own using whatever yarn they’ve fallen in love with, this is the ultimate resource. 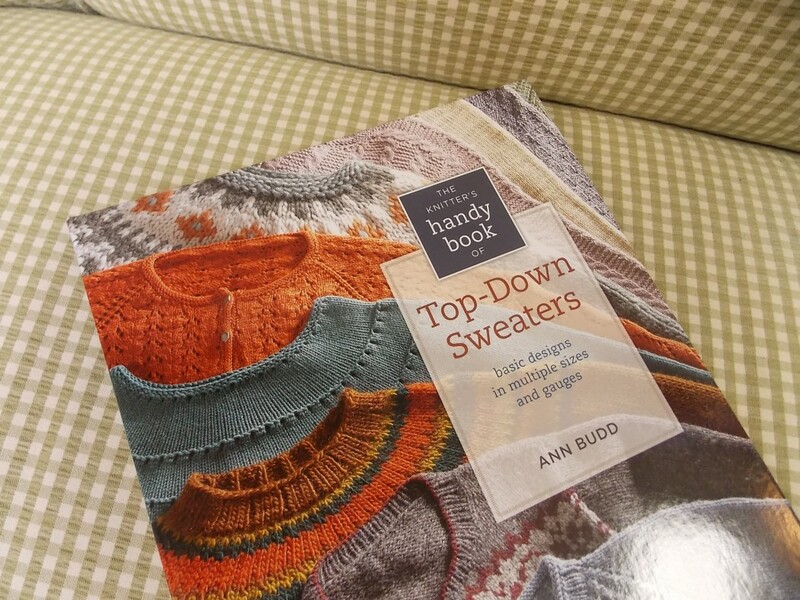 Come by the shop to take a closer look at The Knitter’s Handy Book of Top-Down Sweaters! Last week, Anne and I unpacked two boxes of books, almost all of which were new to the shop. We quickly made space on the teacart for them, and filled it even more quickly. As I’ve explained here before and as regulars have come to expect, the teacart is reserved for the newest additions to the shop. Because of the great quantity of new titles, however, we’ve had to spread out our most recently acquired books. There are simply too many to squeeze onto one teacart. We decided instead to tuck them in wherever they would fit, which is all over the place. Let me point them out to you here. Our books are loosely organized by theme, with similar books sharing a shelf. 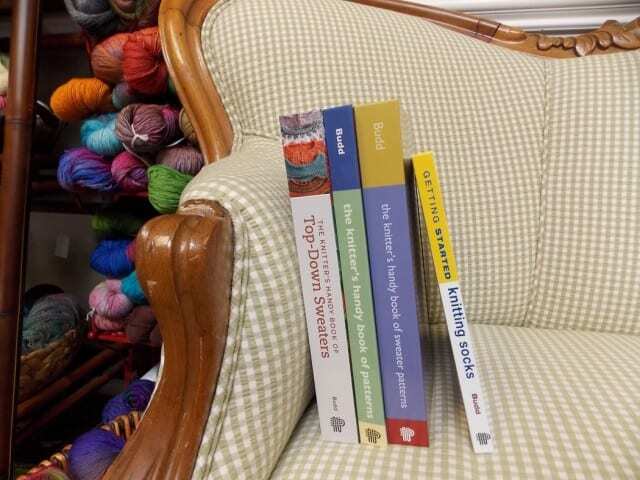 So our newest books on colorwork joined their friends on the colorwork shelf. 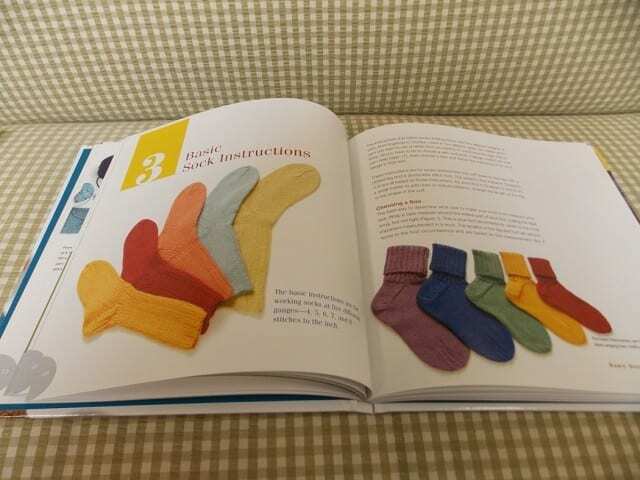 The newest sock knitting books found a home with the other sock books, with the sock yarns close at hand. Knit Noro: 30 Designs in Living Color snagged a space with the Noro pattern booklets and other technique books that play well with Noro yarns–entrelac, brioche, etc. These books are in the Noro corner, just above the Noro yarns. I’ve just picked up my copy of Alice Starmore’s Book of Fair Isle Knitting, which should keep me busy for quite some time, reading, admiring, and planning. Serious, beautiful knitting tomes like this one are by far my favorite kind. 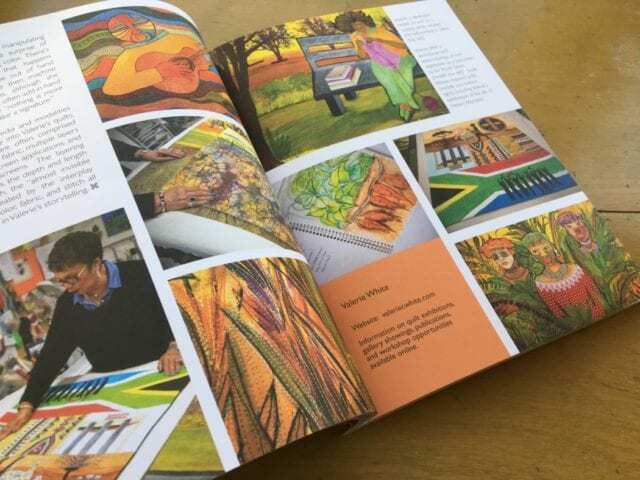 If you’re seeking some knit or crochet inspiration, my recommendation is the right book–one that excites as well as educates. Come by the shop to find it! 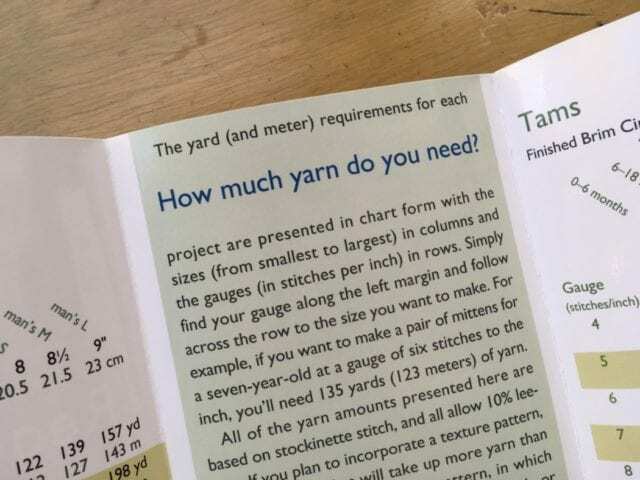 The Knitter’s (and Crocheter’s) Handy Guide to Yarn Requirements is a little pamphlet filled with charts that are filled with numbers, connecting gauge to yardage. Say you know how many stitches per inch your yarn will give you, and you know how big you want your scarf to be. This handy guide will tell you how many yards you need to do it. This makes it easier to estimate yardage in the event that you’re designing your own garment, or substituting yarn for a pattern. It can also be useful to help you get a sense of what you can do with a particular amount of yarn, for example, a lone skein that you fell in love with but made no plans for. Is it enough for a hat? A scarf? A vest? Pick up your handy guide and find out. You can find them right next to another useful resource: the lollipops.